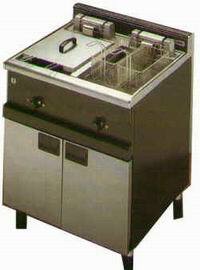 Back-bar, bench top or free standing gas or electric fryers. Wide range of sizes/capacities in single or double units. All with thermostatic control, drain taps. Oil filter units also available.